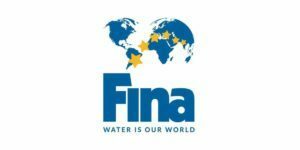 The first of three days of competition is underway in Budapest, Hungary at the fourth of seven FINA World Cup stops for the year, with plenty of big names battling it out with a lot of money on the line. Hungarian superstar Katinka Hosszu was the only swimmer to claim two top seeds during the first preliminary session, posting the top time in the women’s 100 IM (57.91) and 200 fly (2:05.89). The winner of both events at the first SCM stop in Eindhoven, Hosszu leads an absolutely stacked 100 IM field by over a second with Kathleen Baker (59.01), Sarah Sjostrom (59.54) and Yuliya Efimova (59.80) sitting 2nd, 3rd and 4th. Also advancing through to the final was Australian Emily Seebohm (59.87) in 6th and American Melanie Margalis (1:00.00) in 8th. 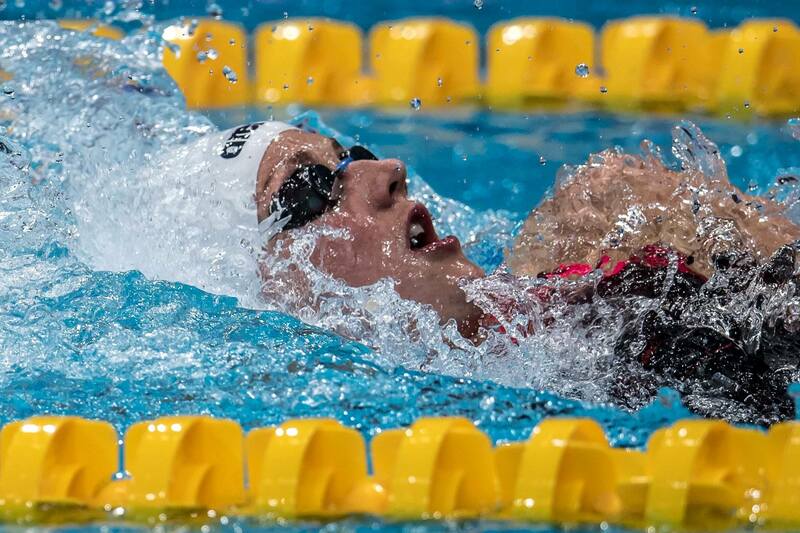 In the 200 fly Hosszu leads countrymate Zsuzsanna Jakabos (2:06.69) by eight-tenths of a second, while Eindhoven runner-up Zhang Yufei (2:06.74) sits 3rd and another Hungarian Liliana Szilagyi and American Kelsi Dahlia are tied for 4th in 2:07.07. At the last stop, Hosszu (2:02.87) won a tight battle with Zhang (2:03.09) and Dahlia (2:03.31). 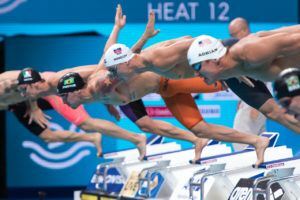 Both Baker and Sjostrom had a top seed of their own this morning as well, as the American leads a very close 50 back field in 26.55 over European Champion Georgia Davies (26.57) and Maaike de Waard (26.71) of the Netherlands. Seebohm (26.82) also advanced through in 5th, and Eindhoven winner Etiene Medeiros (26.85) is 6th. Sjostrom leads the 50 free with a time of 23.52, better than she was in the Eindhoven final where she was beaten decisively by Ranomi Kromowidjojo. Femke Heemskerk qualified 2nd in 23.92, with Pernille Blume (24.00) and Kromowidjojo (24.15), the last two Olympic gold medalists in the event, 3rd and 4th. On the men’s side, Vladimir Morozov was back contesting the 100 IM after setting a new world record at the last stop, cruising to the #2 seed here in 52.69 behind reigning World Champion Michael Andrew (51.92). Morozov will look to challenge his WR of 50.26 in the final. 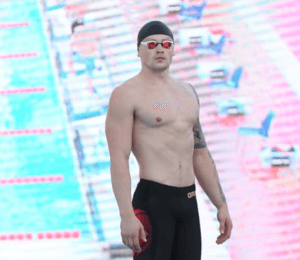 The Russian and the American were back in the water later in the session in the men’s 50 free, with Morozov the only one eclipsing the 21-second barrier in 20.92. Great Britain’s Ben Proud sits 2nd in 21.20, followed by Kosuke Matsui (21.21), Brad Tandy (21.32), and then Andrew (21.36). Jesse Puts, the current SC World Champion in the event, also advanced through in 6th (21.38). After setting a Junior World Record in Eindhoven (and scaring the world record), China’s Wang Jianjiahe easily took the top seed in the women’s 400 free in 4:01.94 over American Leah Smith (4:03.53). Wang was 3:54.63 at the last stop, just 0.11 outside of Mireia Belmonte‘s 2013 world record. Belmonte herself made the final in 7th (4:10.89). Germany’s Poul Zellmann leads the men’s 400 free field into the final after his morning swim of 3:44.29, with Australian Mack Horton (3:45.25) in 2nd and American Blake Pieroni (3:46.19) back in 5th. 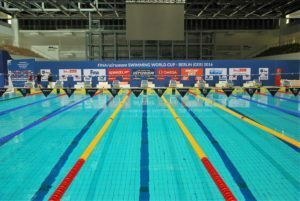 Jorden Merrilees of Australia topped the men’s 200 back heats in 1:54.25 over Poland’s Radoslaw Kawecki (1:54.32) and countryman Mitch Larkin (1:54.44). Chad Le Clos, the only man sub-50 in the 100 fly at the first stop in 49.56, was the only one under 51 this morning for the top seed in 50.81. Frenchman Mehdy Metella occupies the 2nd seed in 51.07. Vitalina Simonova was the top qualifier in the women’s 200 breast in 2:21.87, leading Spaniard Jessica Vall (2:23.07) and fellow Russian Yuliya Efimova (2:24.53). In Eindhoven, Efimova was just over a second off the world record in 2:15.62. Nic Fink leads a close field that includes six guys sub-58 in the men’s 100 breast, leading Kirill Prigoda by .01 in 57.63. Anton Chupkov is back in 7th in 58.08 after taking 2nd to Prigoda in Eindhoven. 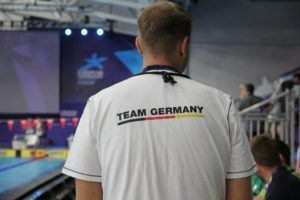 The main question of today’s finals isn’t if Hosszu wins two events and it isn’t who wins 50free – the race of ambitions between Sjostrom, Blume and Kromowidjojo but if Wang Jianjiahe can swim 400 event just 0.12 sec faster than she did a week ago in Eindhoven. Should she do it she will win this cluster outright and becomes in a very close proximity to Hosszu and Efimova in bonus points competition. That close that she can bypass them easily at next China stop of this Cup. Why can all this happen – because Wang can break the world record today. Other swimmers can break world records too, you know. But, sure, if Wang can do it in the 400 free, she’ll be the clear favorite to win this cluster.